On Grimm Season 5 Episode 3, we saw many different types. Renard, stymied in his attempt to reunite with his young daughter; Nick and Adalind, awkwardly attempting to understand how to act with each other as they raise their newborn son' Monroe and Rosalee, very much in love and still pondering a future with children. Then, of course, there was the group of Wesen children (the titular "Lost Boys") who kidnapped women to act as their mother... and ultimately killing them when they inevitably don't live up to their expectations. Join TV Fanatic Round Table Panelists Doug Wolfe, Allison Nichols, Robin Harry, and Kathleen Wiedel as they discuss family, Rosalee's kidnapping, Trubel's reveal, and more on this week's Round Table discussion! Discuss the message of the meaning of family in this episode. Doug: We are being schooled on how not to have a family. Don’t kidnap someone and try to make them your mother – and then kill them if it doesn’t work out. 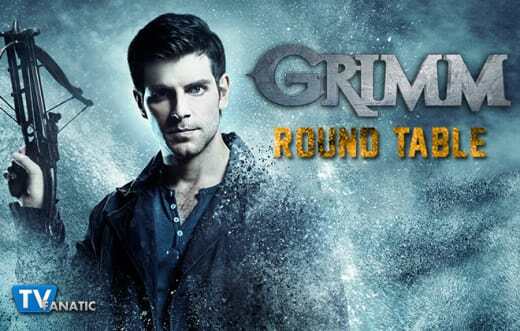 And, building on what Kathleen said in her Grimm Season 5 Episode 3 review: don’t expect the person you raped (and with whom you had a kid) to suddenly fall in love with you. Allison: Love can't be forced. You can't read what family means in a magazine and expect it to happen with some person you kidnapped off the street. Kindness does not equal love. Robin: A lot of people say that family is who you choose. I think this made it evident that the choice has to be mutual. You choose each other. Kathleen: Family means different things to different people, whether it's the family that you are born into or the family that you choose. But one thing is pretty well universal: family is complicated. What did you think of the Case of the Week? Doug: It was lame, and served mostly as filler. 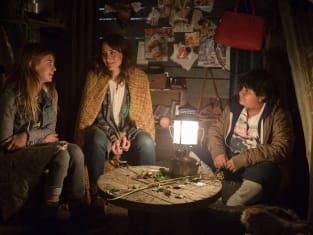 The Wesen children were only dangerous to non-Wesen, so any tension pretty much fell flat when Rosalee woged in front of them. It felt like this story was strung together with the flimsiest of frayed string, just so they could have something to film. Allison: I was disappointed. It really wasn't a case. 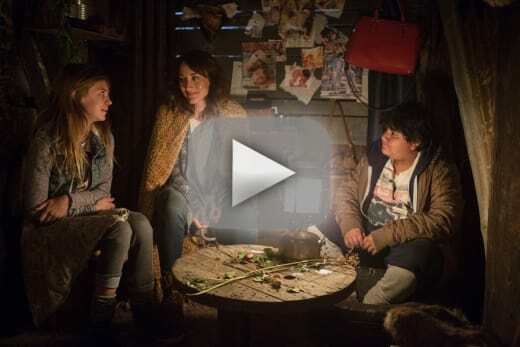 I would have rather Rosalee being kidnapped be the case and to never have had Wendy involved. Rosalee did all the heavy lifting (which was great, don't get me wrong), but Nick and Hank did absolutely nothing. Robin: I was okay with it, actually. The case helped with Team Grimm being able to find Rosalee, so there was enough integration to satisfy me. I loved how Rosalee carried this episode. Grimm has a fantastic supporting cast, so I quite enjoy seeing episodes every once in a while that aren't Nick-centric. Kathleen: Sorry, Robin, I'm with Doug and Allison. It just fell completely flat for me. While not every episode can (or should!) be end-of-the-world scenarios, this one felt like someone had just slammed on the brakes in terms of the serialized, over-arching drama that's been playing out. It seemed almost like a script that had been recycled from Grimm Season 1! What are your thoughts on Adalind's encounter with her former coworker, who suggested she go back to work for the law firm? Doug: I’m hoping Adalind takes him up on his idea. She needs to have her own source of income and to not be so dependent on Nick. Also, she needs to find her own damned place and leave the man she abused alone. Allison: I thought it was random, but I think it would be good for Adalind to get back to normal. She had a job she was apparently good at, and it wasn't tied to her being a Hexenbiest. It's something she can still do. I'm just not sure she would be okay with leaving Kelly, considering what happened to Diana. Robin: Having a kid is expensive, and the extra income is a good idea. It would be nice to see people doing things on this show that aren't always Wesen-related. I assume there are also normal people in Portland? Kathleen: Normal people? In Portland? Heh heh... Seriously, though, all three of you make good points. Though babysitting might become an issue. Maybe Bud and his wife would be up for it? What did you think of the reveal that Trubel was the one in Meisner's cell? Doug: I’m a little worried that they used that time to brainwash her. The next time Nick sees her, he won’t be seeing the Trubel who came to him so long ago. Allison: I can't believe it freaking took this long for us to see where Trubel has been. It wasn't really shocking because that was the only place she could be. Robin: Wasn't that a possibility we've been mulling over since day one? It wasn't all that surprising. Someone mentioned weeks ago that they think Trubel has been brainwashed, and I can see how this might be a possibility. That would be interesting; Trubel would be extremely dangerous if she's not practising restraint. Kathleen: It's still possible that the writers are pulling a fast one on us, but I'm really just hoping they finally explain what in the world is going on with Meisner and Trubel. Share something that stood out positively or negatively for you in this episode. Doug: I really dig Nick’s new home! As the camera panned around the place (with Nick explaining everything) I couldn’t help thinking how cool that would be as a bachelor cave. You can do so much with it. Allison: Jumping off of Doug's answer, I can't decide if Nick is being really smart or way too paranoid with his home. I think if he adds some actual furniture and makes it look more like a house, I'll be okay with it. Right now it looks like a safe house or a bunker. I did really love Adalind's reactions to her new home. Robin: I'm not hating whatever's happening between Adalind and Nick as much as other folks are, mostly because I see it as Nick making a conscious decision to move past what she did to him in order to raise a son without conflict. I can't blame anyone who decides to put an innocent child's interests ahead of their own. That said, it is moving WAY too quickly. The whole sharing a bed thing was just way too much, too fast. Kathleen: I really liked that Rosalee was proactive about rescuing herself from her kidnapping predicament, rather than waiting to be saved. One thing I've always loved about her is that she's no Damsel in Distress. Bonus Question! Is Meisner trustworthy? Doug: It’s too soon to tell. We don’t actually know his game plan yet. I’m waiting to see where he’s going, especially with Trubel. Allison: I have no idea. We haven't really spent enough time with him to know or get a sense of the kind of person he is. Plus, he's involved in this even bigger mystery organization. We need some answers. Robin: I agree with the others that it is too soon to tell. The Meisner we've known has always had an agenda that's aligned with Team Grimm's in some way, and I don't think we've been given information that necessarily changes things. I expect we'll know soon enough. Kathleen: Meisner is as big a wildcard as there is on this show. At this point, it's practically impossible to tell what side he's on, what his game plan is, and whether he's telling the truth or not at any given time. 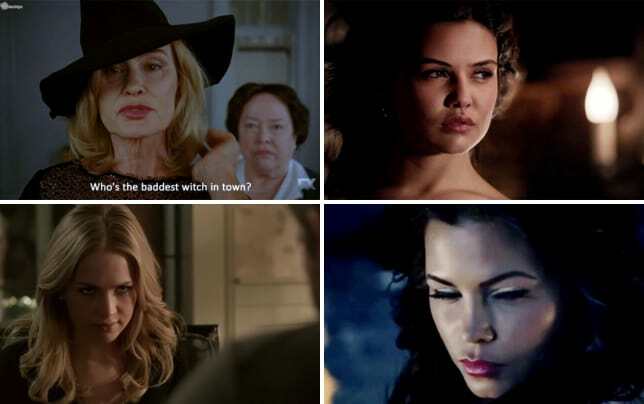 As Allison said, we need some answers! Be sure to tune in for Grimm Season 5 Episode 4, "Maiden Quest," which will air on November 20, 2015 at 9/8c on NBC! Tell you two things I know about kids. One, they are the future and should be cherished. Two, they're lying little bastards! Kelly, you're too young to appreciate the irony of this, but the car we're driving around belonged to a woman who tried to kill me. Of course, I tried to kill her, too. It was all very complicated.